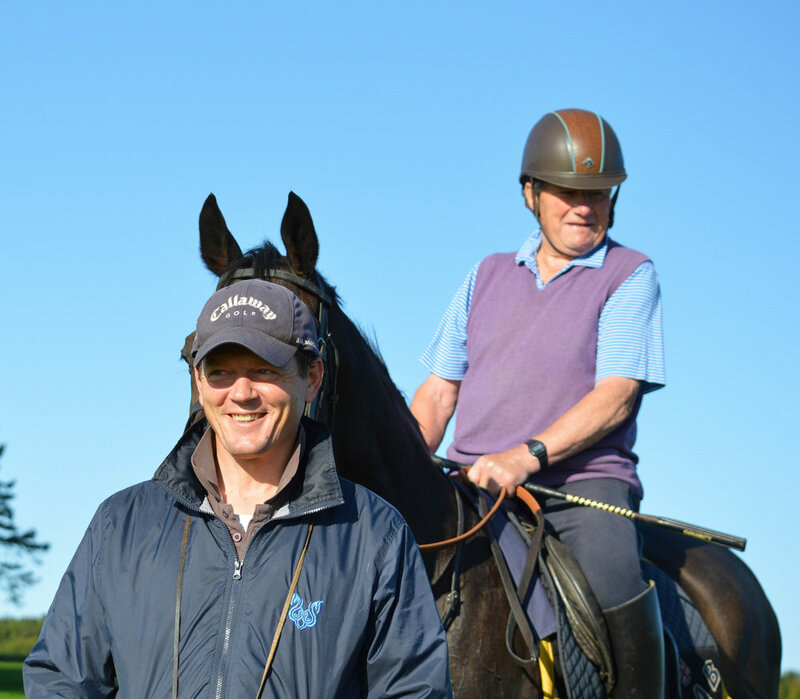 Although it’s now been more than 15 years since Ian Balding handed over his training licence to his son Andrew, he remains an active team member at Park House Stables. The former champion trainer will turn 80 later this year but continues to ride an ex-racehorse on a daily basis, still pursuing a passion which could have led him down a different career path but for some timely advice. Balding became a trainer through the death of the then-trainer at Park House Stables, Peter Hastings-Bass. Park House Stables was patronised by some of the sport’s most influential owners, and Balding found himself in charge of one of the country’s most powerful strings. “It was 1964 and I was 25 and had been assistant trainer for only three months. At that time, the Jockey Club wouldn’t allow ladies to hold a trainer’s licence, so following Peter’s tragic death at only 43, Priscilla couldn’t take over. The Jockey Club wouldn’t let me train professionally and ride as an amateur, but they made an allowance to accommodate so I could still ride horses that I owned myself. “I think it was because I was so young that I don’t remember being daunted by the owners. I met the Queen very early on and she was lovely, very understanding and very knowledgeable. Just weeks into his training career, Ian Balding trained two Royal Ascot winners on the same day, which included Silly Season’s victory in the Coventry Stakes, cementing the young trainer’s relationship with the two-year-old colt’s owner, the American anglophile and philanthropist, Paul Mellon. Owner and trainer would scale even greater heights on the racecourse with the legendary Mill Reef. Mill Reef would realise the potential shown on that spring morning at Kingsclere several times over and was crowned champion English three-year-old colt at the end of the following season, which played a large part in securing the championship for his trainer. Balding rates his favourite memory from the period as the Gimcrack Stakes, when Mellon attended to see his horse race for the first time but heavy rain had softened the ground. After walking the track at York, Balding and jockey Geoff Lewis both felt the going was against Mill Reef. At the start of the 1980s, Ian Balding was still riding competitively in amateur riders’ races and finished fourth in the 1983 Foxhunters’ aboard Ross Poldark. Away from the results on the track, one area in which Park House Stables has always excelled is in its staff development, as evidenced by its list of former apprentice jockeys, which includes the likes of the late John Matthias, David Probert, and William Buick, and the number of long-term staff working at the stables. “I still talk to the lads at the British Racing School once a year and I cannot stress enough the importance of looking after staff, from the provision of decent accommodation to simply making time to talk to them and listen to their feelings. To that end, Balding is supportive of industry initiatives such as the NTF’s Team Champion Awards scheme, which recognises the contribution of stable staff. If staff care has remained a constant at Kingsclere, Ian Balding finds that the methods he once employed have changed.